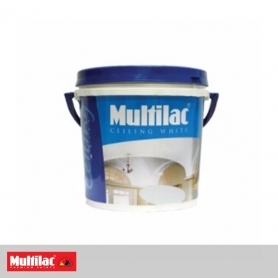 Multilac Ceiling White is specially formulated to be applied on interior ceilings made of asbestos, concrete, hardboard ceiling etc. 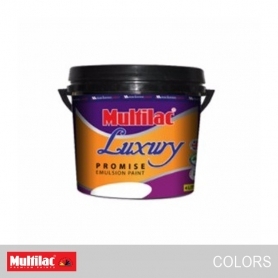 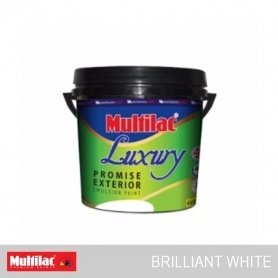 Multilac Luxury Promise Exterior Emulsion formulated specifically for exterior walls. Multilac Luxury Promise Emulsion gives a rich finish to interior walls. 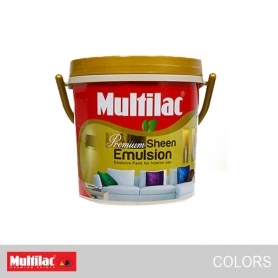 Premium sheen emulsion is a decorative and protective wall paint based on special acrylic for the interior use.It can be used on various types of dry surfaces such as walls, ceilings, concrete, building board, hard board, brick, wallpaper, new or previously painted. 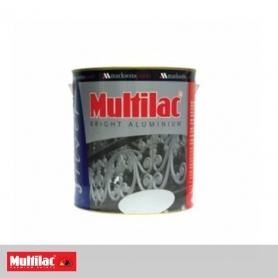 Multilac Bright Aluminium Paint can be used both indoors and outdoors on iron, steel and other metals as a primer or top coat. 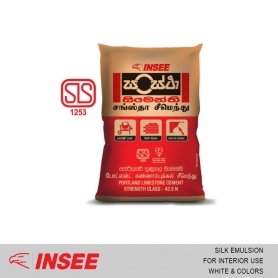 It can also be used for sealing against penetration. 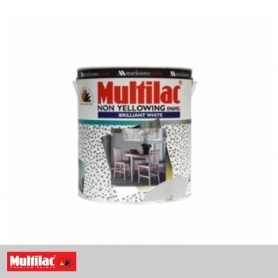 A specifically formulated enamel paint to provide a durable and non yellowing egg shell finish for interior and exterior wood metal and masonry application. 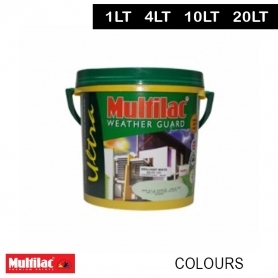 Multilac Weather Guard is a decorative and protective wall paint based on special acrylic copolymer for exterior use. It can be used on various types of dry surfaces such as walls, ceilings, concrete, buliding board, hard board, brick, wallpaper new or previously painted. 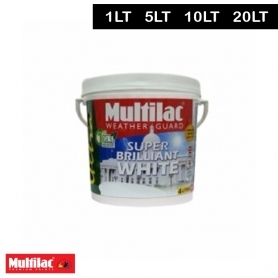 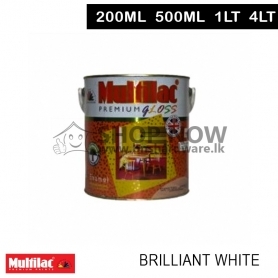 Multilac weather guard ultra super brilliants white has been specially designed to give a stunning finish to exterior masonry surface & bricks, cement & concrete surface. 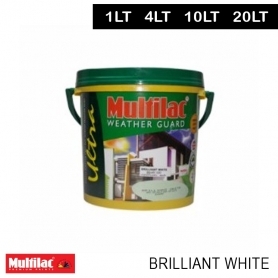 This alkali & fungus resistant emulsion is formulated using light fast pigments which will give a super brilliants white finish to your exteriors year after year. Multilac Premium Sheen Emulsion Super Brilliant White has been specially designed to give a stunning finis to interior walls and ceilings. 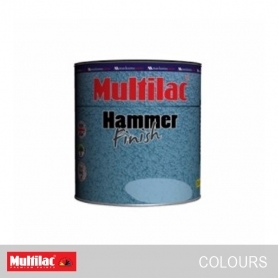 This alkali & fungus resistant emulsion is formulated using light fast pigments which will last longer by decorating & protecting the surface applied. 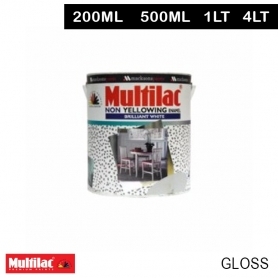 Multilac Gloss enamel is a high quality general purpose alkyd based enamel with very good gloss, flexibility and gloss retention. 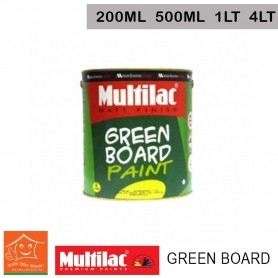 It can be used on all types of metal and wooden surfaces, also on walls, concrete as well. 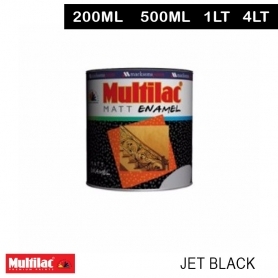 Multilac Black Board Paint provides a matt, black, non reflecting surface and creates a perfect writing surface.